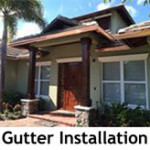 Half Round Gutters offer a classy alternative to regular gutters! 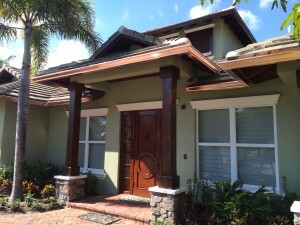 Whether for a historic home or new construction, half round gutters can add a beautiful new dimension to any home. 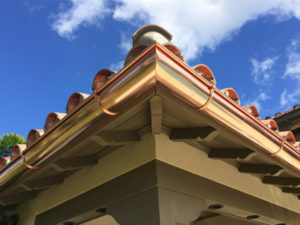 Half-round gutters were the traditional gutter style on homes built before 1950 and remain a popular choice on historic renovation projects, traditional renovations, and new upscale custom housing. 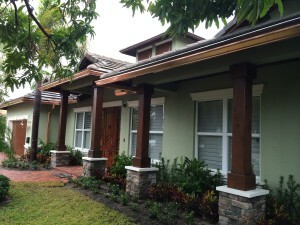 The simple lines of half-round gutters compliment heavily textured materials such as slate, shakes, and tiles. 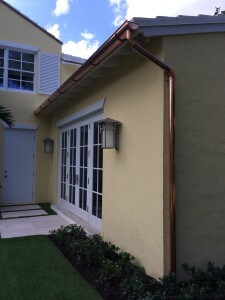 All Gutter Systems installs specially designed over-sized 5-or 6-inch half-round gutters made of heavy weight 20 ounce copper and heavy weight .032 aluminum. 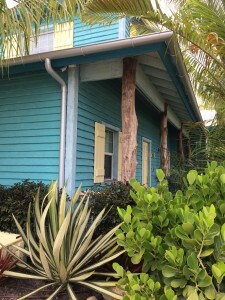 We use extremely durable hanging systems as well as heavy weight cast brass and aluminum functional brackets in decorative or plain styles. These are lag bolted with stainless-steel lags into the fascia board. A full line of accessories and decorative components are available. 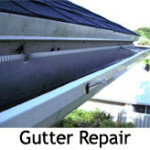 ADVANTAGES: Half-round gutters are the most efficient gutter shape. 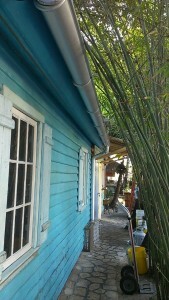 Appropriate for both historic rehabilitation and new construction, both contemporary and traditional. Attractive and durable. 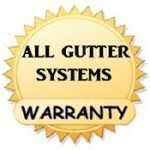 DISADVANTAGES: Higher initial material cost than some other gutter products. 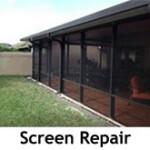 Generally used on custom housing and vintage homes.